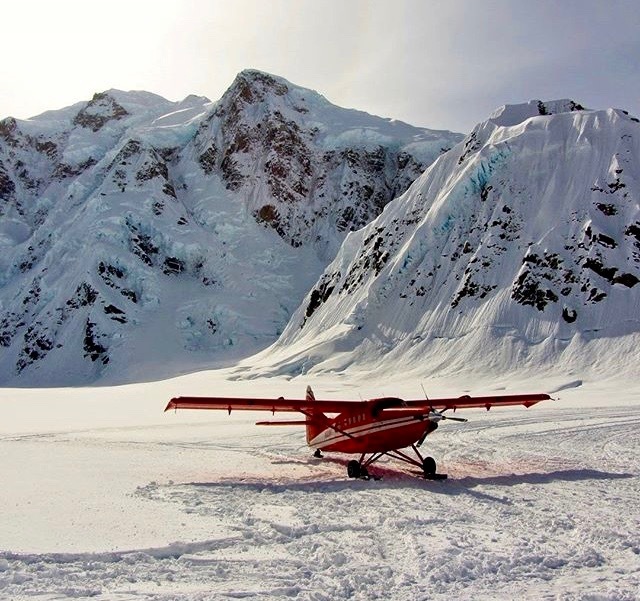 After going through gear and National Park Service protocols, Justin, Bobby and his team flew from Talkeetna to Kahiltna Glacier with K2 Aviation on Thursday, May 12. 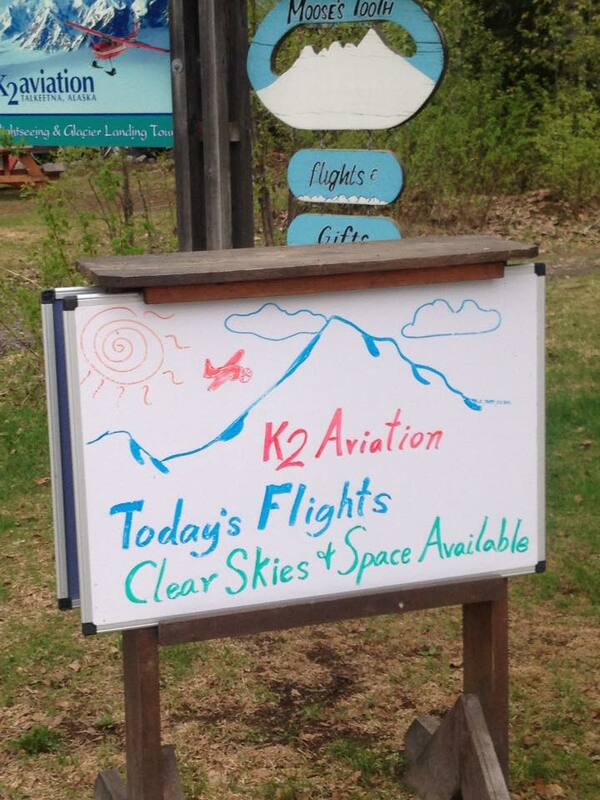 It was a beautiful day for flying! J is the 3rd from the left and Bobby is the 5th from the right. (Don't worry, they didn't try to fit all those people and all their packs into one tiny plane). All photos courtesy of RMI Expeditions. 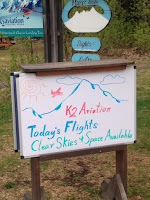 In any case, their destination for Thursday was base camp at 7,300 feet on Kahiltna Glacier. 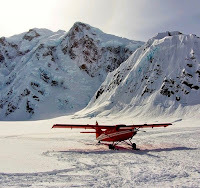 Because their flight was right on time and the weather was clear, they made their way up to Camp 1 on the glacier at 7,600 feet, where they stayed for the night. That first bit is not terribly technical travel, but they have their heaviest loads and it takes 6-8 hours (to only go a few miles with little elevation gain). J said he is carrying 27 pounds of food and about 80 pounds of clothing and supplies in his backpack and sled! On Friday the 13th, still facing spectacular weather, the team moved 17 days of food and fuel via packs and sleds up Kahiltna Pass to their cache hole at 10,400 feet, before cruising back down to camp at Camp 1. 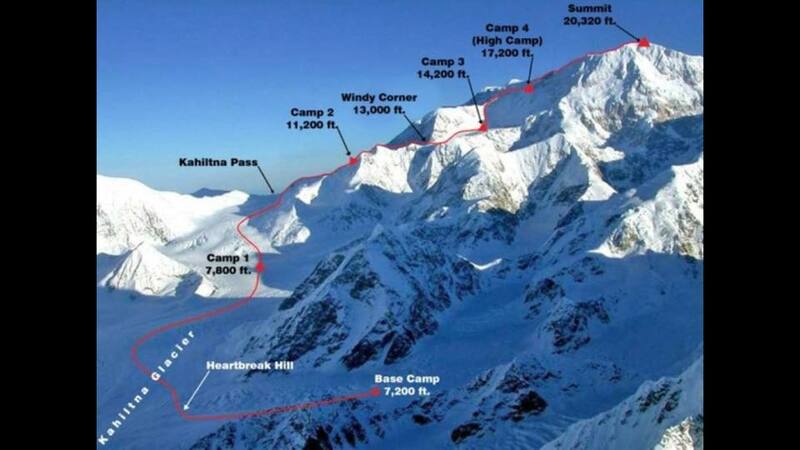 If the weather remains stable today (Saturday), they'll move up to Camp 2 at 11,000 feet. Everyday will be a very slow process of picking up food caches, moving supplies up higher on the mountain, sleeping low, then moving up to a new camp, repeat--all weather permitting. Believe it or not, there are 100+ people on the mountain right now. Some are with guided groups, like J, and others are solo. A lot of people could use good weather vibes!! !